I recently went to visit my good friend Ellie Luchinsky. 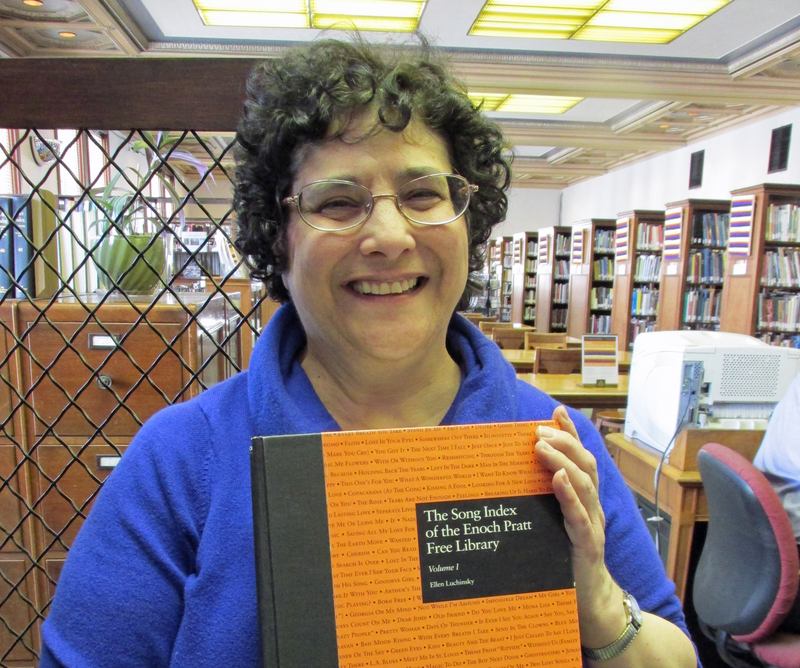 She is a librarian at the Enoch Pratt Free Library in Baltimore Maryland. I was raised in Maryland, so it was good to go “back home”, to see marble front steps and corner restaurants with names like the “Crab Shack”. I had never been to the Enoch Pratt Free Library, and so it was a new delight to walk up and behold such a beautiful library. The library is located in a part of Baltimore that is undergoing regeneration, and also is reflective of the tough economic times. The library was endowed by Enoch Pratt in 1882, and is one of the oldest free libraries in the United States. Enoch Pratt was man ahead of his time. The main library, where my friend Ellie works, is an anchor in the community. Too often we forget that not everyone can afford internet coverage or even a computer. We download a book onto our Kindle or order it from Amazon. We live in an information age, and never think that there are those that can’t afford to take part in it. Libraries, especially those in our inner cities, provide that information link to the communities they serve. The statue includes Billie Holiday as a newborn, and the inspiring adult she grew up to be. The library was filled with people. They were using computers and the internet. Today most jobs require you apply for them online. There were books and readers galore of course. 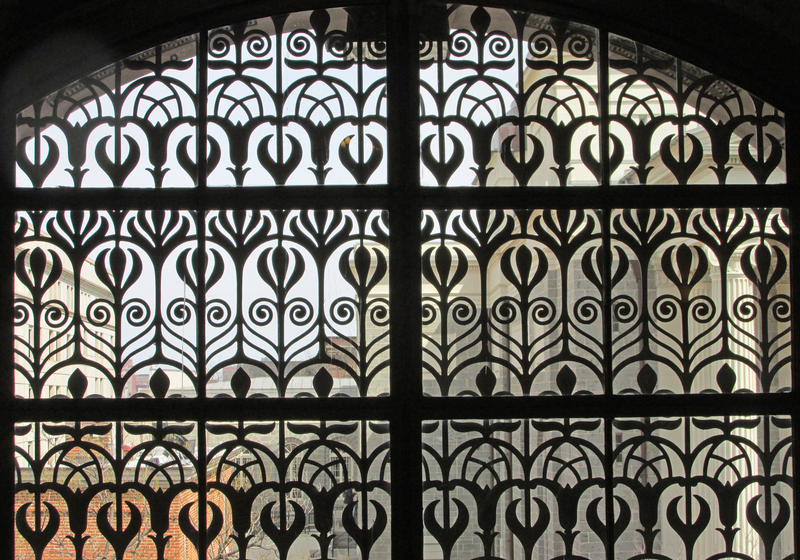 The Enoch Pratt Library is a building of great beauty. Inspiring art, such as the statues of Edgar Allen Poe and Billie Holiday abound in this building built on a grand scale. People were reading everywhere, including Victorian nooks with comfortable chairs that a Vanderbilt or Rockefeller would envy. The library is a mansion, but it is a mansion that belongs to the community. It contains the knowledge and information that Enoch Pratt wished to endow to all, rich and poor, because he understood books and information should belong to us all. It should never belong just to the rich. 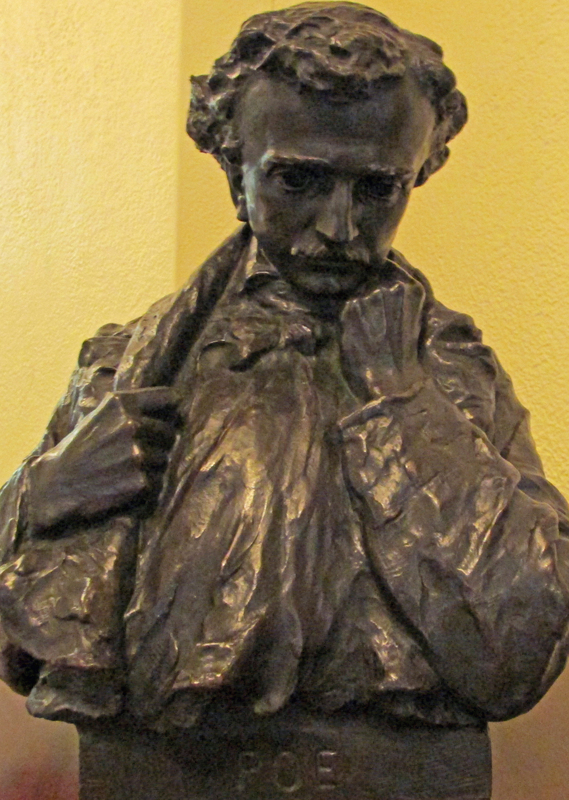 Poe’s grave is located in the area served by the library. Baltimore has a rich literary history. I hear so many people complain, “Why are we spending so much money on libraries?” They haven’t been to a library for years. They are able to access any information they need from their homes, but only after having paid for a computer and a monthly internet plan. They can call up any movie they wish, order any book they care to read, and all they have to do is pay the price. Almost everyone I know pays to belong to this instant information age, and considers it as much of a need as heat and food. They never stop to think of how many people, that can perhaps not afford even heat and food, truly depend on public libraries. Knowledge is power, and if knowledge is only held by those that can afford it, the poor are slaves indeed. Today knowledge is so much more than books. 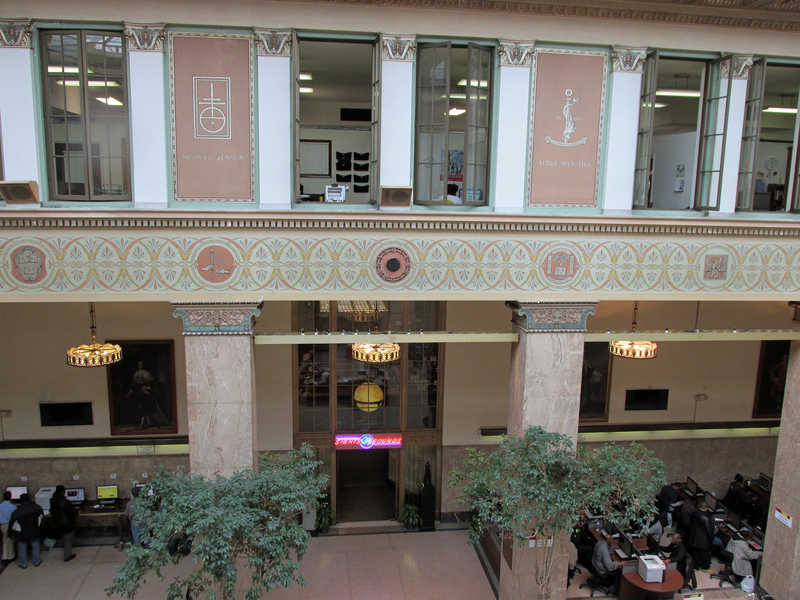 The Enoch Pratt Free Library reflects this, with computers and books featured in room after room. 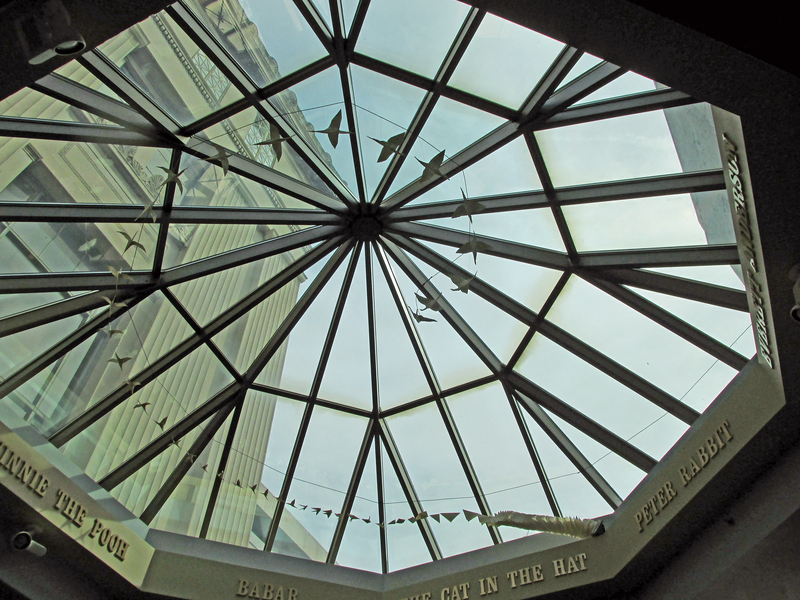 The children’s day room with the beautiful crane sculpture soaring above. I was pleased also to see the beautiful children’s areas. Obviously the Enoch Pratt Free Library cares very much for the children of the community. There are two delightful play areas, one a “day room” and one a “night room”, which has a movie viewing area with a night sky. No millionaire has a home theater that can even begin to compare to the one the children of Baltimore enjoy. The children have a home at their library that is welcoming and warm and beautiful. 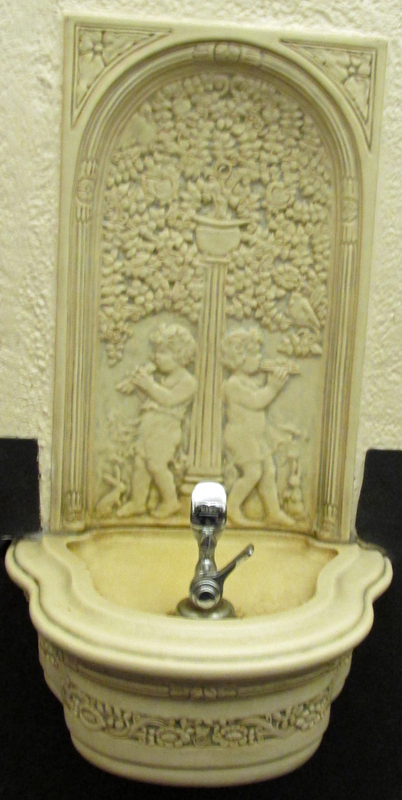 Vintage water fountain in the children’s area. I was reminded of visiting a community in Latin America. The village was very poor. The roof of the local school had collapsed, and water supply was from one well. Most of the children were barefoot. The only thing of beauty in the village was a large church. I visited the church, and found a large building, indeed a mansion, in the midst of a hungry village. The priest came over and pointed out the history and beauty of the building. He also wanted a donation. I explained I would rather donate to the school, so they could fix their roof. The priest shook his head, he explained “This church belongs to the people, it reminds them that while their lives are hard here, one day they will die and go to heaven and live in a mansion like this church.” I asked if there were a library, and the priest said there was no need of one, as most of the villagers could not read. I donated to the school, perhaps my being raised in an Episcopalian church that fought for Civil Rights and empowerment for people in this life biased me against the village priest and his vision for his church. 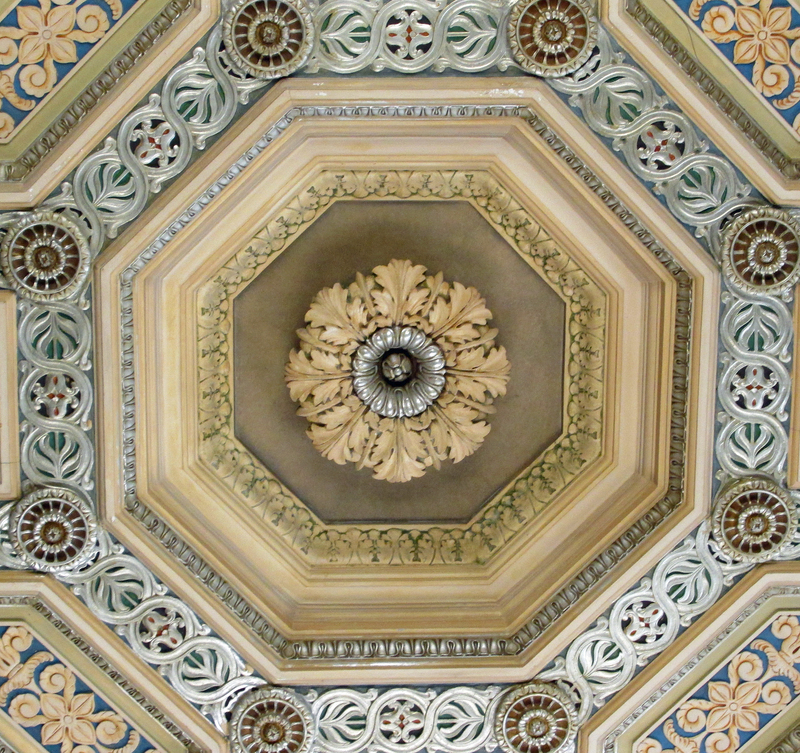 Ceiling from one room of the library. A beautiful home for knowledge. The Enoch Pratt Free Library is instead my idea of a mansion that belongs to the people. Rich not just in beauty, but rich in knowledge and promise for the community that the library belongs to. I could tell from the tour Ellie gave me the pride she has in serving the people of Baltimore that come to their library. Ellie, holding with pride HER book, in the library she is so proud to work. 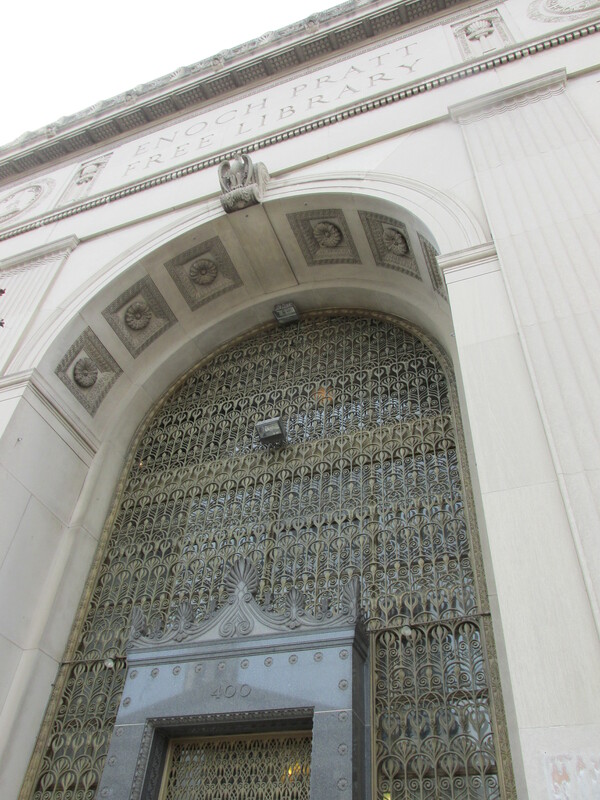 The next time someone suggests closing libraries, or asks what use libraries are when all the information we need is just at our fingertips, suggest they go visit the Enoch Pratt Free Library in Baltimore. It was truly an honor to visit this wonderful library that belongs to the people of Baltimore. « Fun Friday Flick! TAM 2, who are these people? You are now linked on the Pratt Library Web site! What a wonderful gift to the people of Baltimore. What a wonderful building. What a forward thinking man. It must be truly inspirational to spend time inside such a place and have access to the world of books and the world of technology in such surroundings.